The bottom line is that I’m probably jealous of these guys. How I would love to have 63 million subscribers to my blog. My greatest number of shares for a post is 180, something I’m quite proud of because I shared the post in a couple of Facebook groups, and then forgot all about it. That’s the thing about my posts, every single one has the ephemeral life of a beautiful rose, swept away by the winds of forgetfulness. It sounds like a lot of my life, actually. Seriously though, the beauty of it all is in the making – chosing words and ideas, and making the one compatible with, and an expression of, the other. Following a personal experience in which I was duped by a “candid cell phone” at my local gym – a place where cell phones are not supposed to be used, in the first place – and a recognisable vision of myself appeared on YouTube, I have decided to find out why these guys are so popular, as well as lodging a complaint with my gym club, if I am within my rights – which is far from certain. There must be something in what they do, or what they say, or what they do and say, that makes people click and stick. The only way I can learn anything from these guys, is to observe and take notes – something I never used to do at school. And why not start with the very best of the YouTubers – No. 1 for 2018, PewDiePie — 60.4 million subscribers. I’m sorry, did I write that correctly? Has he got nearly 4 times as many subscribers as there are inhabitants in The Netherlands? 60.4 million – the mind boggles. Now, either this guy is really, really, really good, or there are a hell of a lot of subscribers who just forgot to unsubscribe, since 1864. You just have to see how people get so over-excited about IKEA. So that’s where he gets the bulk of his subscribers from – IKEA. Haven’t you noticed that when you roam around their showrooms, in search of that tiny little drawer that will fit into that tiny little cupboard, that there are ten times more visitors than bits of furniture? Like all Swedes, PDP has a certain je ne sais quoi about his looks that gives him a sort of attractive assurance. It’s just a pity that his beard is taking over his face, and his hairstyle is taking over his brain. The way he regularly evades looking straight at the camera, reflects a self-assurance that is catching instead of being off-putting, or showing an innate shyness. Here is a man who is now cynically reflecting on a given subject, after having spent the best part of his life gaming. Like the immortal French writer Stendhal, who wrote as he thought, PDP is speaking as he thinks and thinking as he speaks, hesitating ever so slightly, not knowing exactly what his train of thought is. All is done with a sort of professional amateurism that so many of his subscribers will be able to identify with. It is just a shame that quality is submerged in quantity. A bit like at IKEA, you have to go round in circles before finding what you were actually looking for. PDP was a “let’s play” specialist. This guy got kicks from recording himself playing moronic video games, telling millions of people how moronic the video games were, and then telling the same millions of people how good he was, at playing them. Now, why didn’t I think of that, instead of telling a few dozen people how moronic Brexit is. I’m glad to see that PDP has my sense of humour. No worries, PDP, forgetting the punchline of a joke happens to the best of us. In a video entitled, “Girl Says She’s Preg With Baby Jesus”, PDP takes the mickey out of a poor young girl who appeared on the Dr Phil Show. She was convinced that she was pregnant, and was carrying baby Jesus. Haley is on a long-term treatment for schizophrenia, and she now knows that what she thought was baby Jesus, was just gas in her stomach. Clearly, PDP is amused by Haley, but there’s nothing funny about her situation, unless I’ve missed the joke somewhere. It’s one thing making fun of what people post on the internet, it’s quite another making fun of people. PDP has obviously adapted his videos to the attention span of his audience – about 8 seconds. Just as you are succeeding in following his train of thought, he cuts his soliloquy with a silly grimace, squeaky voice, or meme that has nothing to do with what he was going on about. I just cannot cope with watching a barrage of images and sounds that overloads my brain with needless stimuli. Trying to follow his reasoning only contributes to setting my neurones into standby mode, in fear of causing irreparable damage to the rest of me. It’s a defense mechanism which, let truth be said, reflects the fact that I’m getting old. Following an incident in 2017, where he “inadvertently” used the “N” word to qualify black people, PDP published an apology that I not only found very moving, but also very interesting. It wasn’t the first time that PPD caused outrage. Earlier that year, he lost an advertising contract with YouTube and Maker Studios, Disney’s digital entertainment company, following an investigation by the Wall Street Journal, who found antisemitism and Nazi imagery in nine of his videos. One of the videos featured two semi-naked Indian men dancing while holding a banner reading “Death to all Jews”. I’m disappointed in myself because it seems like I’ve learned nothing from all these past controversies. It’s not that I think I can say or do whatever I want and get away with it, that’s not it at all, I’m just an idiot, but that doesn’t make what I said or how I said it OK. I’m really sorry if I offended, hurt or disappointed anyone with all of this. Being in the position I am, I should know better […] and I owe it to my audience and myself to do better than this. In brutally admitting that everything about his video gaming was fake, and centered around the number of likes and views, PDP just confirms my first impressions after having watched a few minutes of several of his videos. I’m not judging him for what he is, but for what we perceive him to be through his performances on YouTube. He appears to me as a superficial young man, lost in the banality of technology. Knowingly or not, in his apology, PDP addressed the crucial question related to his sheer popularity and the power he has, that goes hand in hand with this popularity. I owe it to my audience and myself to do better than this. Some will say that he has done a lot for freedom of expression. He probably has, and I would be the last person to want to censor what he publishes on YouTube. The problem doesn’t lie in what he publishes, it lies with those who endorse his provocations by pressing the “like” icon and subscribing to his channel. Regarding the incident at my gym club, I asked them to tell the Dutch YouTuber to take the video down. They managed to film me without me noticing. A fake personal trainer approached me whilst I was on an exercise bike, and pretended to have this training program to keep you in shape. He told me that he was giving lessons in order to fund a project for refugees, and started doing suggestive exercises with his hips. I was too busy cycling and wasn’t really paying attention to him. 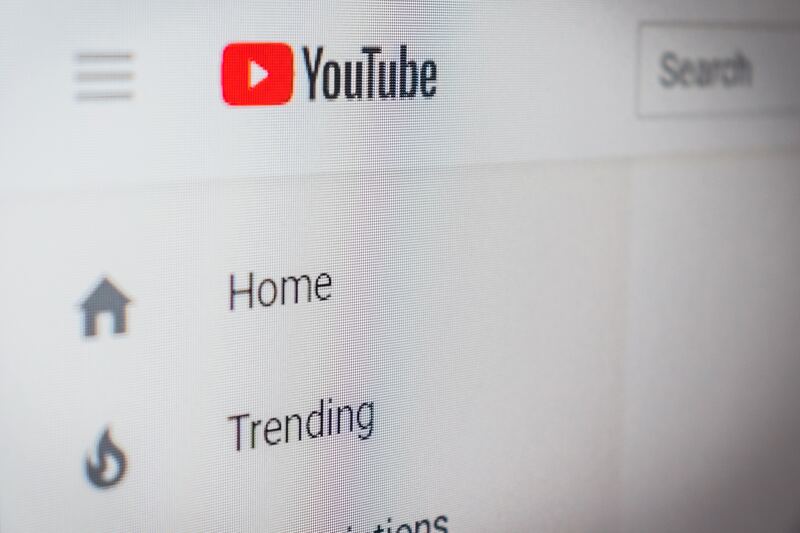 It’s only when a patient of mine told me that his daughter had seen me on YouTube, that I made the connection between that incident and a possible appearance on YouTube. At my request, the video was deleted a few days later, but not before it got 150,000 views, and 4800 likes. I can assure you, it’s not the fact that he filmed me without me knowing that infuriated me, although I will hold the gym responsible for that. No, it’s the number of viewers who actually liked the video, that really upset me. In a previous post, I wrote that “likes could kill”. I should have added that “likes can upset”. With so many subscribers and viewers, YouTubers have responsibilities and must be careful with what they say and publish. More worryingly, what does the fact that PDP is so immensely popular, say about the state of mind of the generation of kids who are glued to his videos? Furthermore, he is not the only one, and it is not a craze comprising a few likes that will disappear in a few days. He may be the most popular of the lot, but there is a whole empire of “below-par” videos out there, ready to liquefy the brains of our children. Even the dolts who infuriated me, have more than 500,000 subscribers. At least PDP has had the decency to apologize. The same cannot be said for the morons who invaded my privacy.